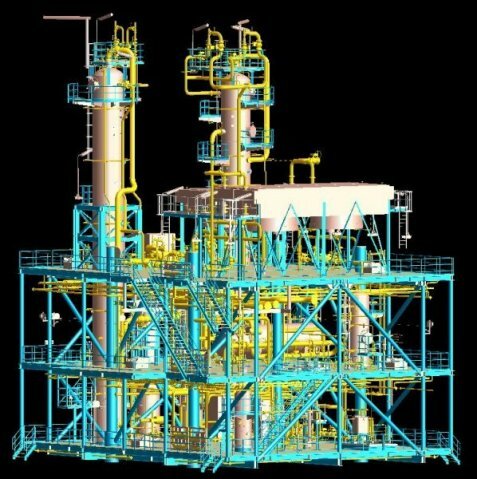 The project consisted in the design of a Acid Gas Removal Unit to be installed on the B193 Process Platform. The platform is actually under construction in the Malaysian site of Sime Darby and will be located in Krisna Godawari Bay, 75 km far from the seashore of Mumbay, India. The platform End User is Oil and Natural Gas Corporation (ONGC, India), while the Licensor is Shell Global Solutions. 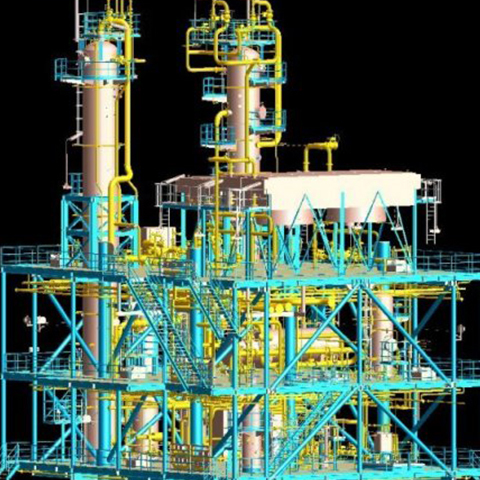 The Gas Sweetening process is utilized to reduce the content of H2S and CO2. The module is completely integrated and single-lift type. DG Impianti Industriali SpA provided mechanichal engineering (equipments, piping, vessels and structures), electrical & instrumental engineering and procurement services.